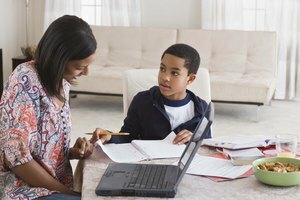 What Do You See As the Advantages & Disadvantages of Home Schooling? Year-round schooling is sometimes used as a way to ease overcrowding in schools. 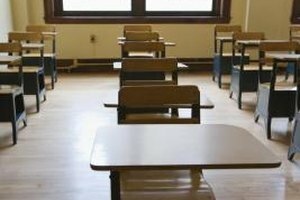 Some school districts have instituted year-round schooling as a way to reduce overcrowding and the time children spend away from the learning environment. 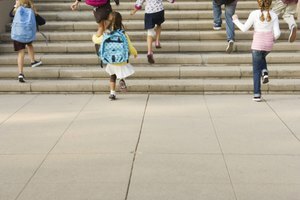 Children in year-round schools spend between six and nine weeks in school, then have a two- to four-week break. In many year-round schools, different groups of students are on different schedules, so one-third of the students are on a break at any one time. 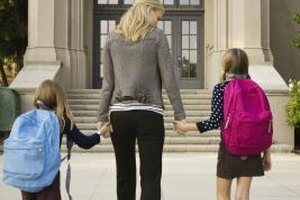 There are many advantages to year-round schooling but also some important disadvantages. One disadvantage to year-round schools is some parents find it difficult to juggle vacations. Families may find it hard to schedule a time when the whole family can be on vacation together. In addition, working parents may end up needing additional child care. Many camps and holiday clubs are geared to operating only in the summer, and students may not be able to attend if they have vacation at other times of the year. Students who are on a different schedule from their friends may also find it difficult to organize get-togethers. Because about one-third of students are not in school at any one time, it is difficult for sports teams to compete as the composition of the team changes often. This can also make it difficult for all the players on a team to play in important competitions or finals. This disadvantage also affects students participating in activities such as cheer leading, drama and band. Older students may also find it difficult to hold down a part-time job while in year-round schooling. Rather than take a summer job for three months, year-round students need to organize their work schedules to work for just a few weeks every two months or so. Because many school districts institute year-round schooling as a way to ease overcrowding, primary students and teachers in each room need to pack up their classroom materials before going on a break and unpack them again when they return. They may also not be in the same classroom each time they return from a break. This takes time and can be upsetting for younger children and confusing for older children, who may find themselves with a different class schedule and different subject teachers after each break. Standardized state testing, open-house evenings and other events also need to be scheduled more than once, as some students will be away on any given date and unable to participate. Year-round schooling may, in some cases, be more expensive than a traditional school schedule. This is especially true for schools in areas with hot summers. These schools may need to add weatherproofing, such as sun shades, and run their air-conditioning year-round, which can be expensive. Year-round schooling also does not leave the school empty for performing any extensive repairs. Instead, repairs need to be conducted while students and teachers are in school, causing disruption. The continuous use of facilities for 12 months out of the year, instead of nine, can also cause additional wear and tear, necessitating additional repairs. What Supplies Should Every Freshman in High School Have When They Go Back to School This Year? Magloff, Lisa. "Disadvantages to Year-Round Schools." Synonym, https://classroom.synonym.com/disadvantages-yearround-schools-8131173.html. Accessed 24 April 2019.